encompass is the creator of Know Your Customer (KYC) automation for major financial and professional service firms globally. We are the leading provider of simultaneous, real-time access to multiple sources of global company and person data. Through personal experience, we know that access to the full picture can empower businesses to fight global financial crime. Following the successful exit of their big data visualisation company, our founders, Wayne Johnson and Roger Carson, became investors themselves. One of those investments proved very costly when they became victims of financial crime. Frustratingly, information on the parties involved that would have flagged this risk was available, but inefficient, manual processes meant it was overlooked. With the full picture, Wayne and Roger would have walked away from the deal. This experience led them to set up encompass with the mission of enabling regulated firms to comprehensively detect and prevent financial crime and reduce regulatory risk. Wayne co-founded encompass in Sydney and took the encompass product to market there in 2012. Since then, as CEO he has led the international expansion of encompassn, including the UK launch in 2015 and recognition as one of the UK’s most influential RegTech firms. Prior to encompass, Wayne was co-founder and CEO of Software Associates, until the company’s successful exit to a Hong Kong listed Company. 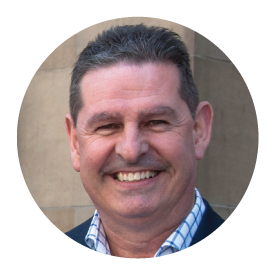 Roger co-founded encompass and has brought the company’s vision to life expanding its reach and impact from Australia to the UK. 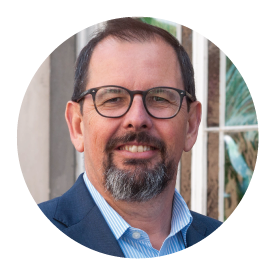 His global outlook is informed by a highly successful international sales career with Andersen Consulting and then Unisys in the USA, South Africa, and Australia, as well as leadership roles in Asia. Prior to encompass, Roger founded Pacific Advantage Services, raised Capital from Europe for Asian distribution, and completed a trade sale to IM Invest. encompass launches in Australia, first to apply visual analytics to corporate, property and person information. Major deal signed with international risk management and information business, SAI Global, granting exclusive rights for Australian market. encompass launches in the UK. Connections established to major UK data sources to enable simultaneous, real-time access. First to automate Know Your Customer searching using robotic process automation. £3.6M co-investment from SIB and Adcock PE group. KYC automation products launched: encompass confirm for banking & finance, and encompass verify for legal & accountancy. Launch of encompass remediate, allowing batch refresh and remediation through robotic process automation of full client books. Establishment of offices in Hong Kong to drive sales, distribution and data partnerships across APAC region.